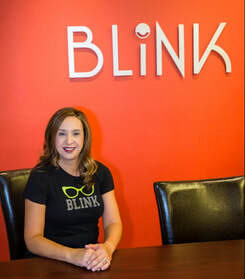 BLINK, formerly Downtown Vision Source, started in a small building off of Lomas Boulevard and has grown quite a bit since. Dr. Irons grew her practice from a two exam room facility to the new amazing office at 201 Slate Ave. Dr. Irons has hand picked an amazing staff to support her as they strive to provide the best vision care possible to the people of New Mexico. Blink has almost everything you need in terms of eye care, as Dr. Irons provides comprehensive examinations, specializes in the practice of refractions, prescribes glasses, fits and designs specialty contact lenses, and so much more. ​Stop by Blink and let Dr. Irons and her staff give you the best vision possible.